South Korea: Freedom for the conscientious objectors! 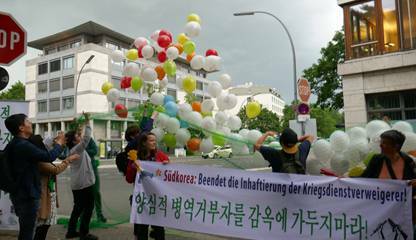 (15.05.2018) To the International Day of Conscientious Objection balloons were rising up in front of the South Korean embassy in Berlin. For every conscientious objector in jail one balloon was set to freedom symbolically. With this activists from about ten organizations were urging the South Korean government to set free about 300 conscientious objectors who are in prison. The vigil was organized by Arbeitskreis Internationalismus IG Metall, Ausschuss für die Partnerschaft der Ev. Kirche in Hessen und Nassau (EKHN) mit der Presbyterianischen Kirche in der Republik Korea (PROK), Propstei GwangJu, Connection e.V., Deutsche Friedensgesellschaft – Vereinigte KriegsdienstgegnerInnen (DFG-VK) Berlin-Brandenburg, Deutsche Ostasien Mission (DOAM), Europäisches Büro für Kriegsdienstverweigerung (EBCO), Ev. 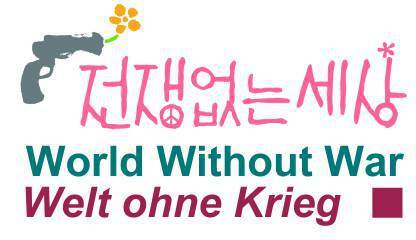 Arbeitsgemeinschaft für Kriegsdienstverweigerer für Frieden (EAK), International Peace Bureau (IPB), Internationale der Kriegsdienstgegner*innen (IDK), Korea Verband, Mennonitisches Friedenszentrum Berlin. We thank for the support of Ev. 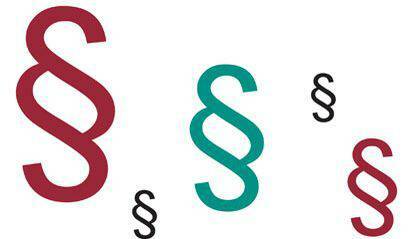 Mission in Solidarität. South Korea: To make the most of the opportunity for peace, the right to conscientious objection must be recognised! (14.05.2018) Recognizing the right to conscientious objection to military service does not only involve guaranteeing objectors the freedom of conscience, thought, and religion. In addition, overcoming deep-rooted violence and militarism will be possible only when we acknowledge this right to object. In order for Korea to make the most of the precious opportunities of peace that have come in seventy years and to become a country of permanent peace, the right to conscientious objection must be recognized. (18.03.2018) The Constitutional Court is expected to rule by August on the legality of conscientious objection to military service. In 2004 and 2011, the court ruled against conscientious objectors, making national defense a priority over individual rights. (12.06.2017) All men in South Korea are obliged to serve in the military when they reach the age of 18. Since 1945, there are about 20.000 Koreans who became conscientious objectors. One of them is MOON Myungjin. In an interview, he explains why he refused to serve for the military and what consequences this decision had.